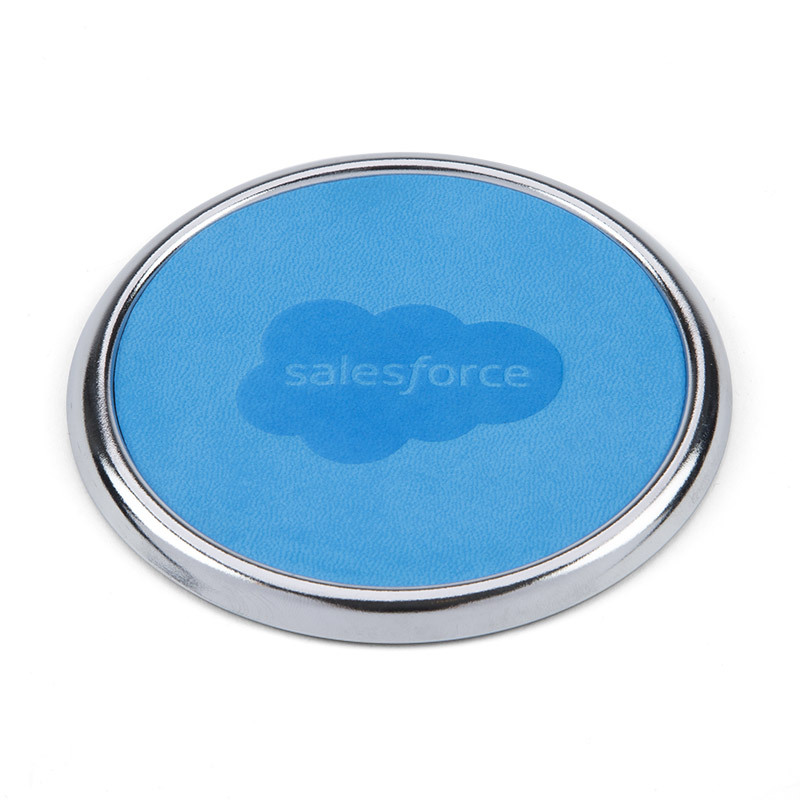 European richer-than-leather material inlay is custom dyed in Salesforce blue and surrounded by a silver coaster frame. Coaster is 4" in diameter. Debossed Salesforce Cloud logo.